The explosion of text messaging, the silent form of communication, provides manufacturers an opportunity to create a variety of phones for different target audiences. 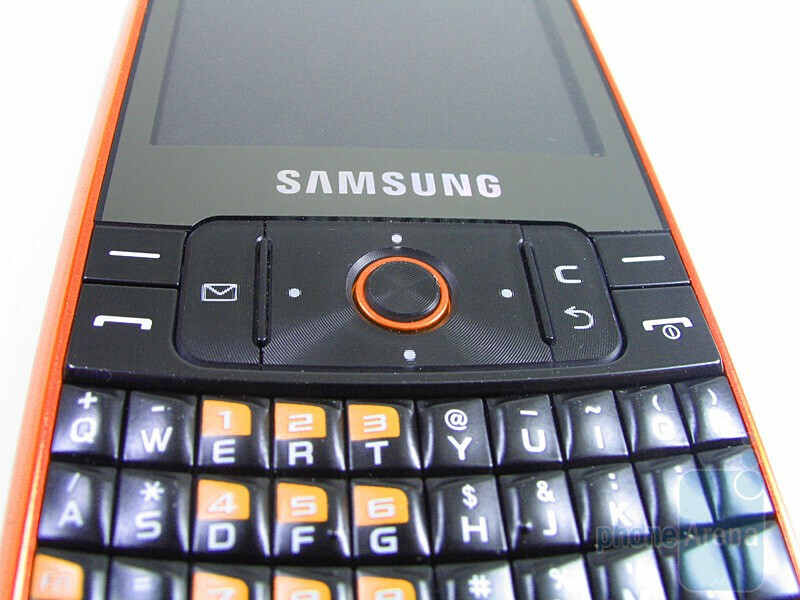 Samsung's BlackJack line of mobile phones uses a QWERTY keyboard and targets business users. For the younger generation looking to find that business class look in an entry level device, the Samsung Magnet a257 might fit the bill. 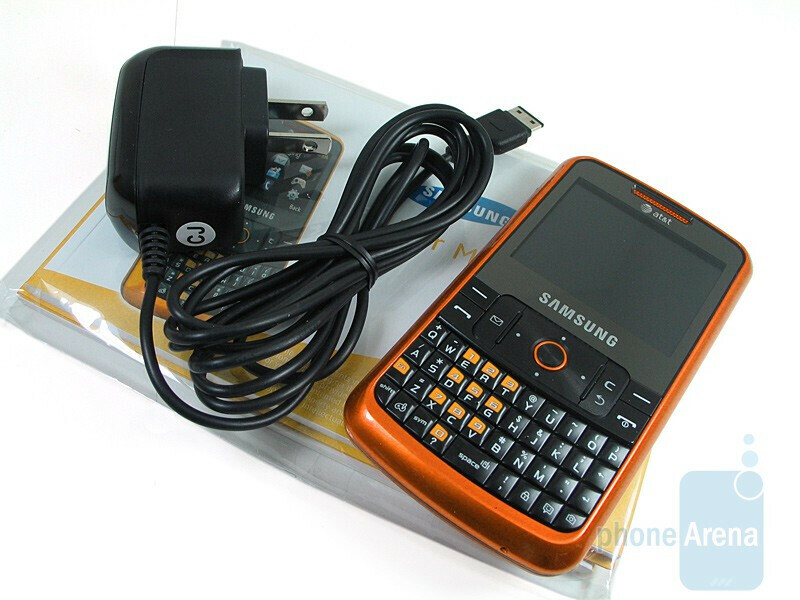 Sporting a sleek form factor, this basic text messaging device has the looks that caters to the younger crowd while still maintaining a decent functionality experience. 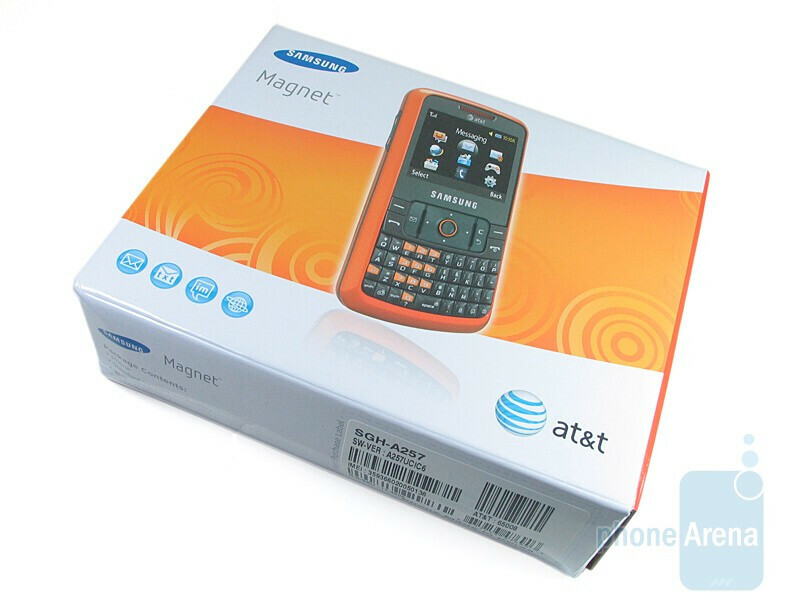 The only other device the Samsung Magnet a257 can compare to on AT&T's lineup in terms of design and form factor is the Pantech Slate. Both are classified as entry level messaging devices, except that the Magnet gets some kudos in design. 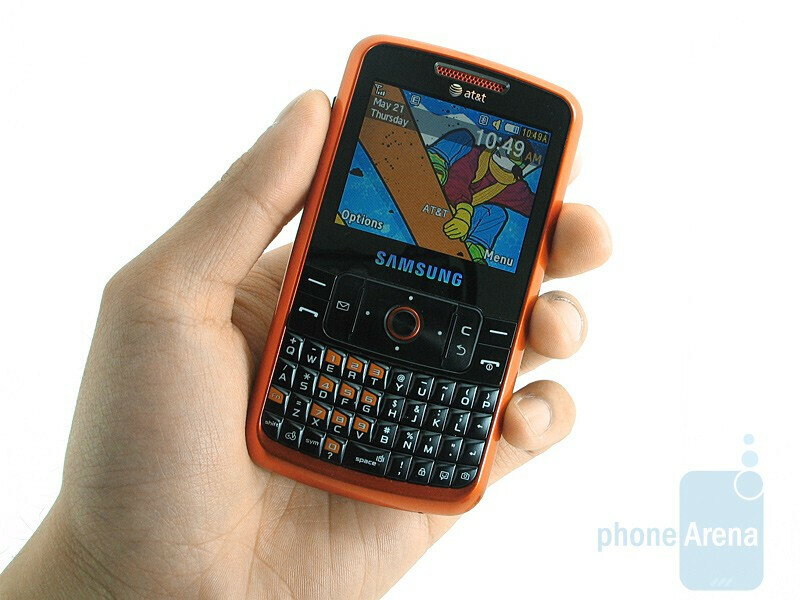 It's similar to the Slate because of its QWERTY keyboard, low weight (3.09 oz), and thin profile (0.47”). 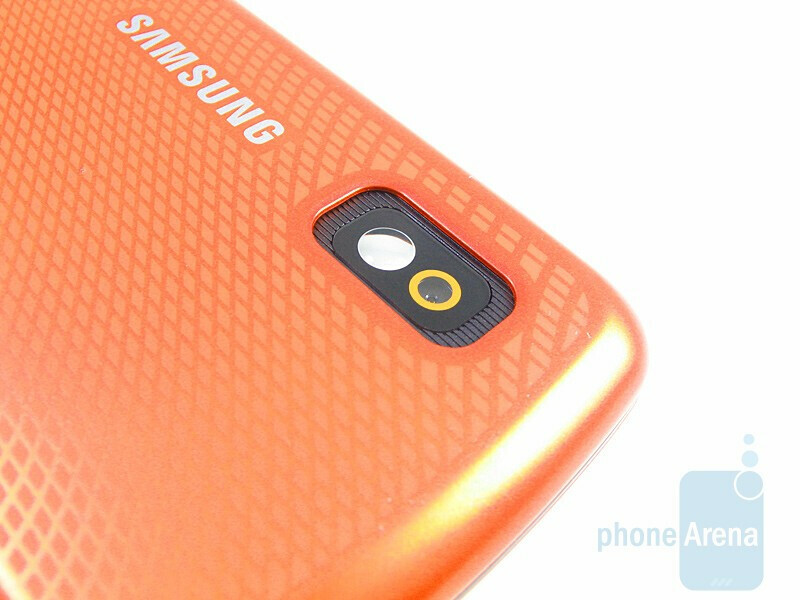 The orange plastic material is appealing to the eyes with the back cover having a patterned design. The materials feels well constructed and does not seem as cheap as the Slate. 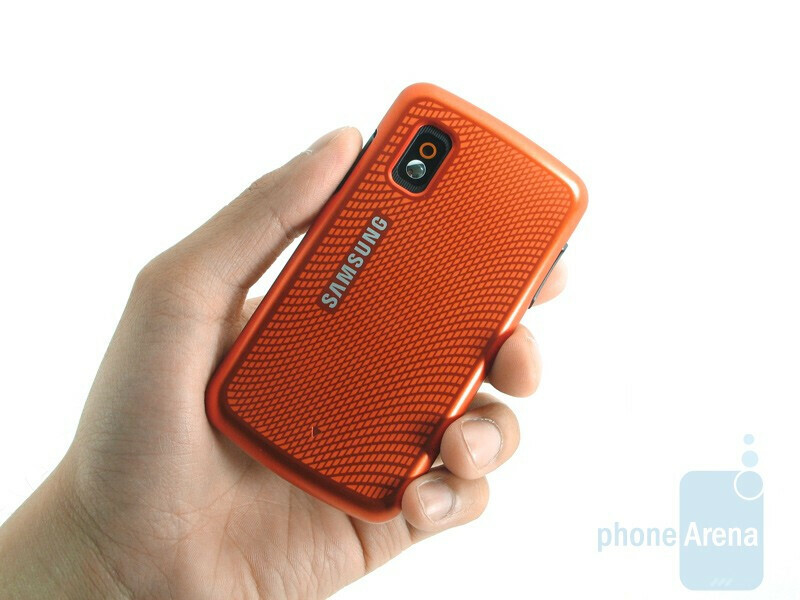 Holding it in your hand feels natural thanks to the back cover having a soft matte feel created by the patterned design. Its very light weight and does not add any bulge if you place it in your pocket. You can compare the Samsung Magnet a257 with many other phones using our Size Visualization Tool. 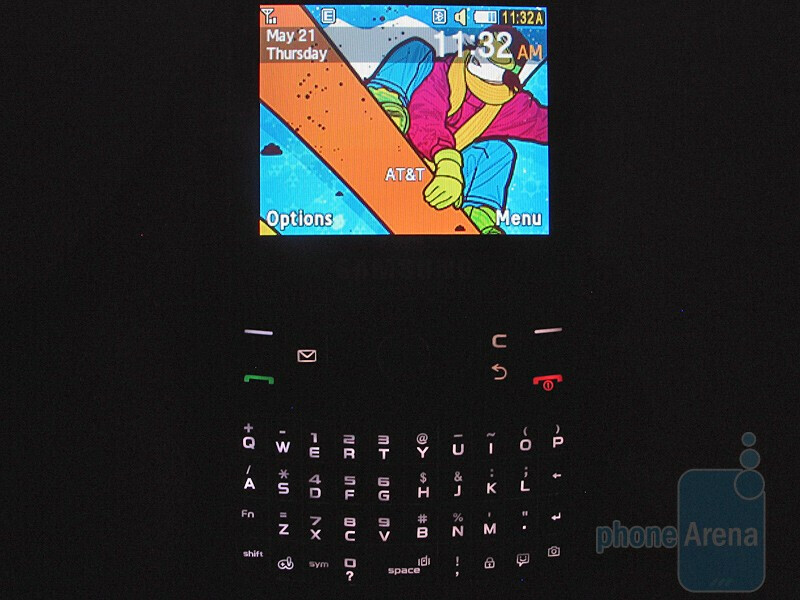 The 2.2” screen is pretty well sized for the phone and has a resolution of 220x176 pixels with only 65k colors. It may be on the low side, but colors are fairly well represented on the screen. Tilting the Magnet from side to side will cause you to lose visibility because of the poor viewing angles. We had to set the brightness to its maximum setting in order to see the screen correctly. Slightly moving the phone to one side will cause you to lose sight of the screen - while it is necessary to shield the display when using it outdoors. The hardware buttons and directional pad are flush with the surface. You have the standard left, right, end, and send keys along the edge of the phone. Launching the messaging application can be performed by pressing the dedicated button near the d-pad while the back/clear button is located on the opposite side. The directional pad has a decent tactile feel to it with the middle button used for selecting is slightly raised. 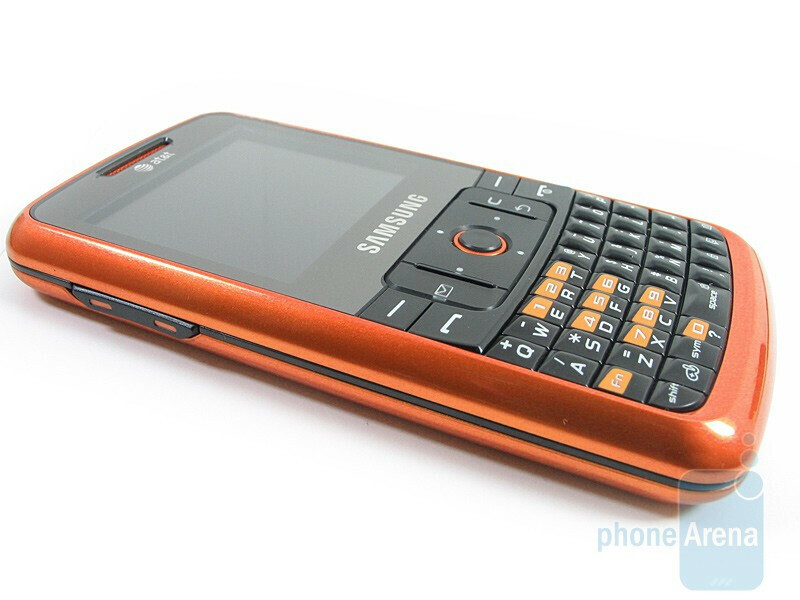 Seeing that the Samsung Magnet a257 targets the text messaging crowd, we were disappointed with the design and feel of the QWERTY. 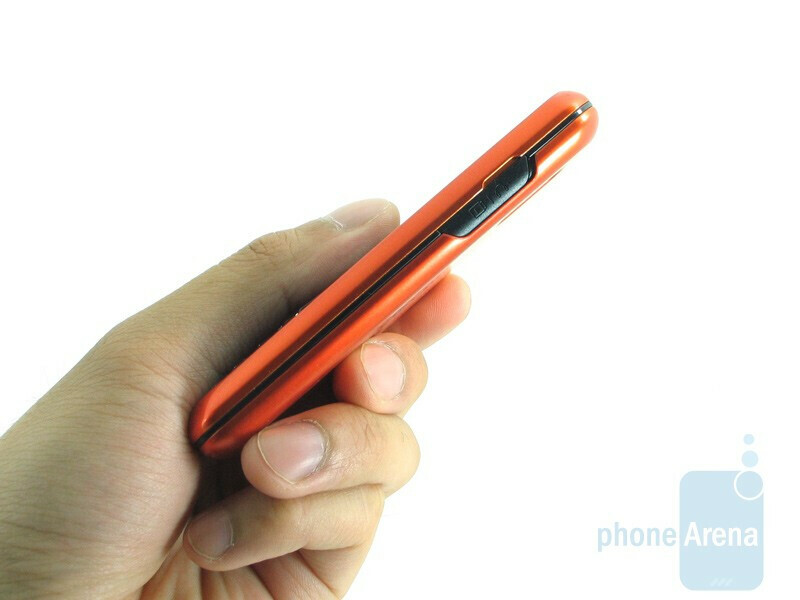 Although they are slightly raised, the small squarish buttons will be a nightmare for anyone with larger fingers. Topping it off is the cramped style with no spacing in between the buttons – so we found ourselves pressing the wrong buttons as we typed steadily. 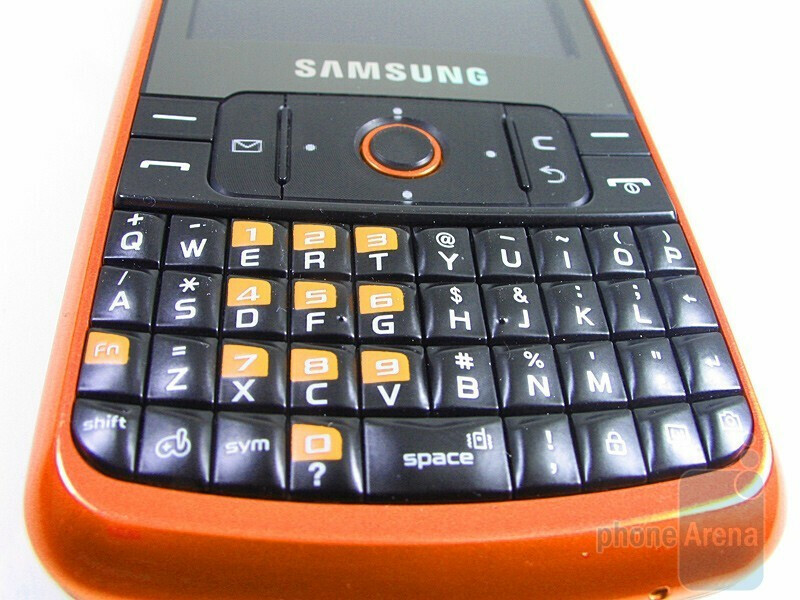 The white backlighting does a good job of illuminating the QWERTY while numbers are highlighted in orange. There are additional dedicated buttons to do a variety of things such as locking the phone, vibration mode, or launch the camera application. The volume rocker is appropriately located on the left side while the proprietary USB/charging port is found on the opposite side. Flipping the phone over will show the VGA camera with self portrait mirror. 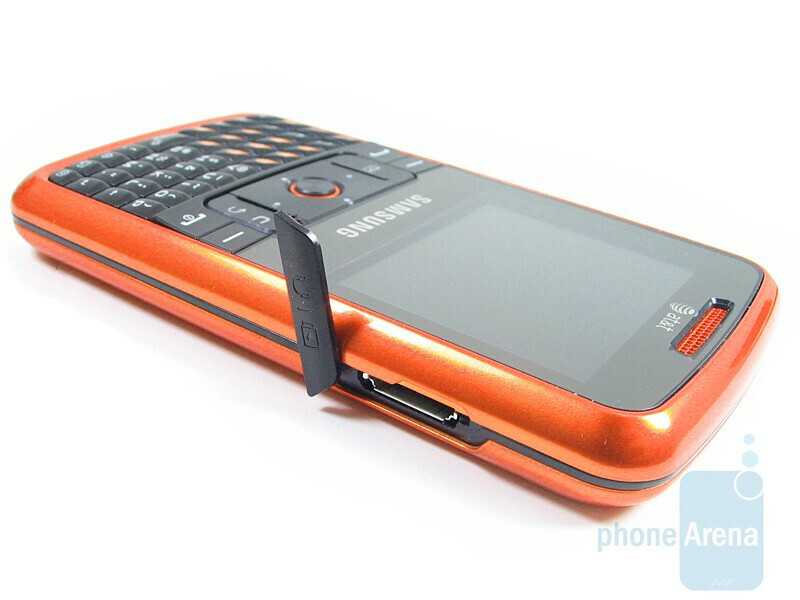 Removing the back cover of the Samsnug Magnet a257 reveals the battery (800 mAh) and SIM card slot. You've rated this piece of crap way too high. False information about Bluetooth, it won't even pair with another samsung. I'm keeping my D500 for when I'm in a better reception area - it beats the A257 hands-down.